"All raw materials -- oil, gas, diamonds, timber -- it all comes from here [Arkhangelsk Province] and is sold abroad, while the profits go to Moscow." "People are ready to be great [past celebrations of the Russian Federation's 'victory' in Putin's Ukraine and Syria exploits], but they are not ready to pay for it from their own pockets." "For the first time since Putin came to power 20 years ago, life is not improving, but getting worse." "A society that got used to such terms as 'Putin' and 'fat years' being interchangeable is suddenly facing a new, surprising reality." "Moscow is the richest, most glittering city in Russia." "Rather than spending money on recycling, they spend money on new pleasures and they want to send the [Moscow's] garbage to the provinces." Close to the geographic size of France, with a population of 1.1 million people, the Arkhangelsk region may appear to have ample space for a massive landfill, but clearly the population doesn't want it, not even the rarefied garbage of the city of Moscow. 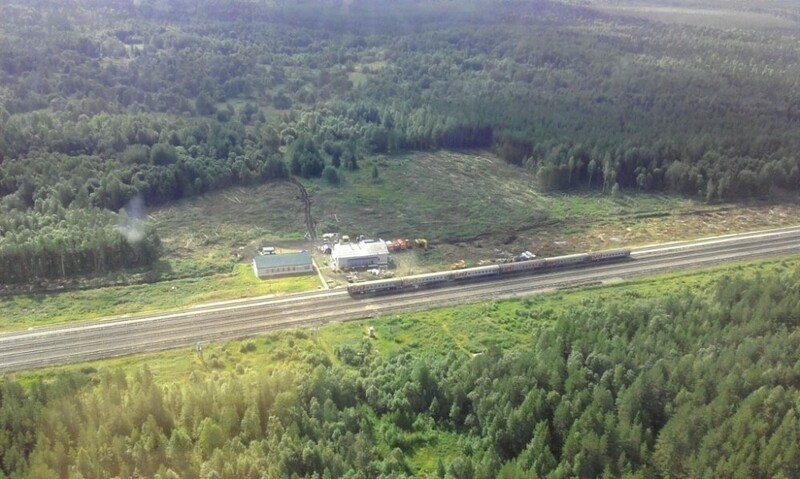 The federal authorities in Moscow decided they would send their garbage to Shiyes, dump it all 30 kilometers north of Urdoma, once a thriving village and now only a railroad maintenance station left of its former vigour. As far as Igor Orlov, the governor of Arkhangelsk is concerned, this is a project that will have great practical value for the residents of the province, bringing investment and along with that, employment for an estimated 500 people. The secretive, dishonest methods that launched the project, however, has made residents hostile to its presence. Above all, no public environmental impact study undertaken, leaving residents with the fear that groundwater and the Vychegda River will become polluted. But plans to ship Moscow's garbage despite the protests are set to proceed. The economic problems along with a popular understanding that the hinterlands are there to support the Russian capital where government cannot pour enough money into, while the struggling provinces get nothing, have not endeared the project to its recipients. Located 1,100 kilometers northeast of Moscow, the residents of Urdoma learned in 2018 of the landfill project only when two local hunters happened to stumble across workers felling trees to prepare the groundwork for the project. Urdoma was galvanized in outrage, along with dozens of other communities in Arkhangelsk Province. Support for President Putin, according to polls, is slipping. For the first time in thirteen years, a plurality of Russians feel their country is steadily moving in the wrong direction, with public opinion shifting sharply in provincial areas, precisely where Mr. Putin's popular voting base led him to power when national pride and economic gains were uppermost in people's minds. Since then the government has indulged in changes rural dwellers have found deeply unpopular. Raising the retirement age. Increasing sales taxes and utility fees. Incomes have dropped about 11 percent adjusted for inflation, over the past five years. Urdoma's 4,750 population along with other similar communities in the region, grumble that the governor has abandoned their idyllic lives to the interests of garnering garbage. No one is interested in their concerns, and no responses have been forthcoming in their search for answers. Demonstrations seethe with broader political discontent through events held across Russia against rising garbage collection fees and little effort given to recycling. Falling oil prices and international economic sanctions have hit the Russian economy hard, leading to waning support for the interventions in Syria and Ukraine, the source of huge popularity when they both began. The "deep depression" that has overtaken Russians will inevitably intensify, but without destabilizing President Putin, according to Mikhail Rostovsky. Despite Russia's immense natural resources and areas of wealth, many Russians continue to live in poverty. 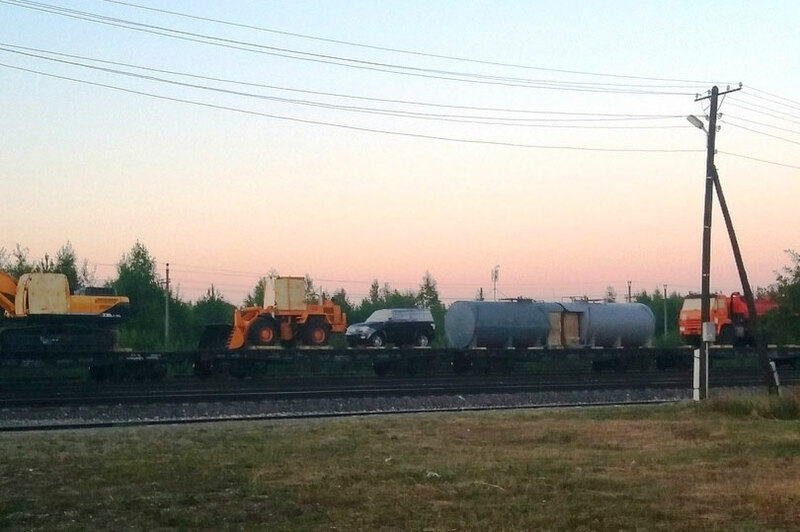 After complaints that a public hearing hadn't materialized as required by law before deciding on the trash to be sent to Arkhangelsk, one day outsiders were bused into town to enter an auditorium for a "hearing". Police officers barred residents of the town from entering the hearing. "After we get rid of the garbage in Shiyes", said Nikolai Viktorov, owner of a town hardware business "we will start getting rid of the garbage in Moscow".